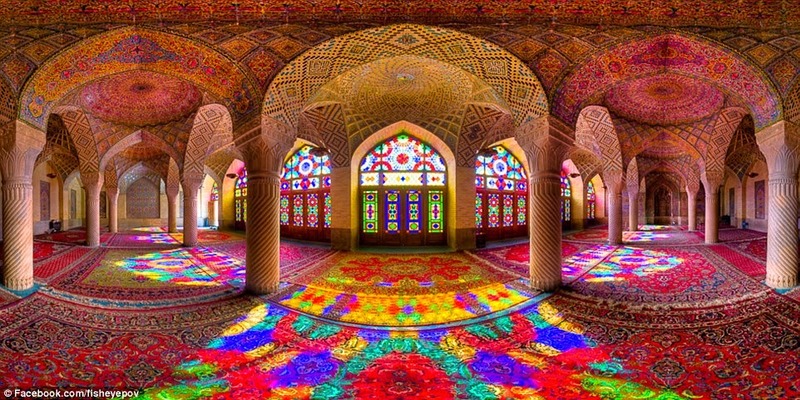 Stunning images of Iran’s most dazzling mosques and iconic structures are captured by Mohammad Reza Domiri Ganji. He uses fish-eye and panoramic lenses, highlighting the stunning light and symmetry of the buildings, says the Daily Mail in a review of Ganji's works. You can visit Ganji’s Facebook page to see the collection of 70 of his most recent photos taken in Iran. these pictures are of exceeding beauty.